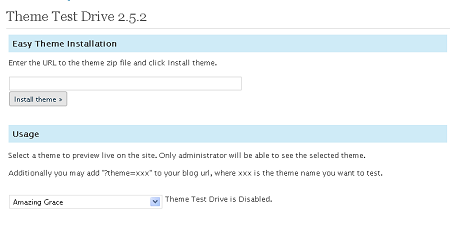 Theme Test Drive: this plugin lets you test drive any theme without disturbing your visitors. In other words, your visitors won’t notice when you are testing new themes on your site. 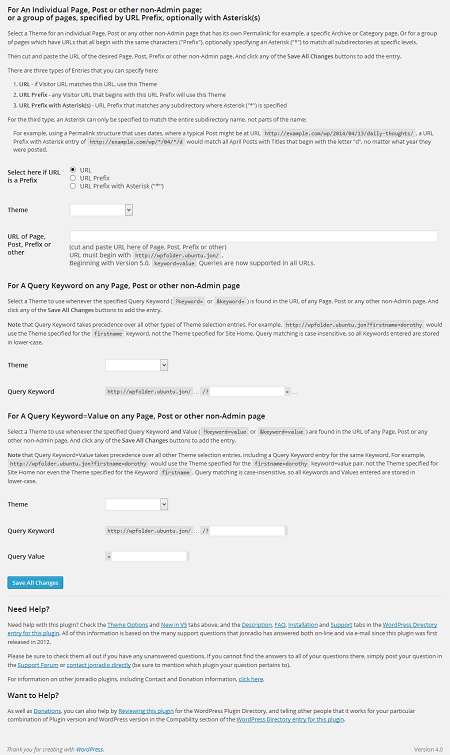 Multiple Themes: this plugin lets you select different themes for one or more pages on your site. You can show different themes on all pages, by URL, or based on keyword. 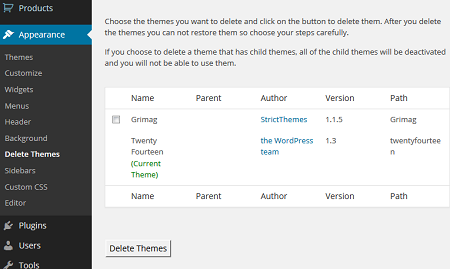 Delete Multiple Themes: lets you delete multiple themes with one click. I personally prefer using a SSH client to do the job, but this plugin may also save you some time. Device Theme Switcher: this plugin lets you choose a separate theme for handheld and tablet devices. Computer visitors will see the main theme. Which one of these plugins have you had the most success with? Please share your experiences here.